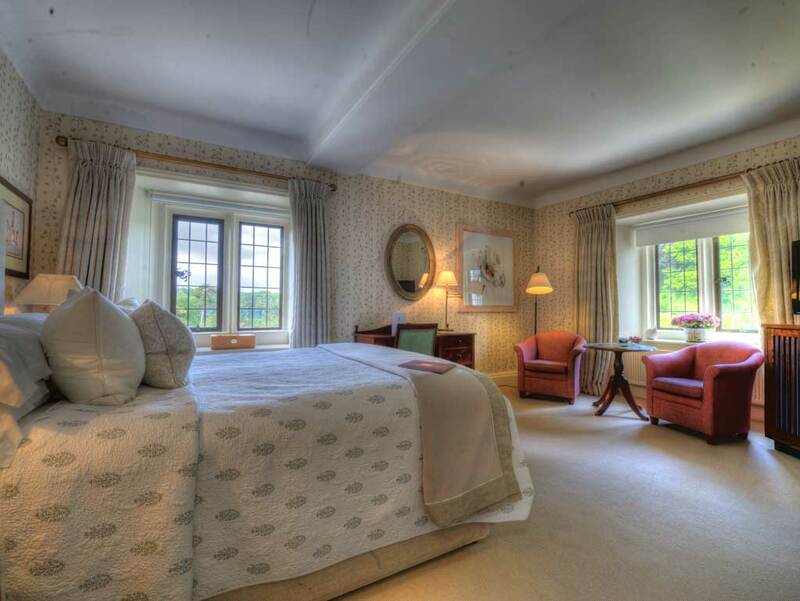 Bovey Castle features 64 Single, Classic, Castle, Superior Castle and Valley Castle bedrooms, individually-designed by Annabel Elliot, located in the original manor house and private mews. 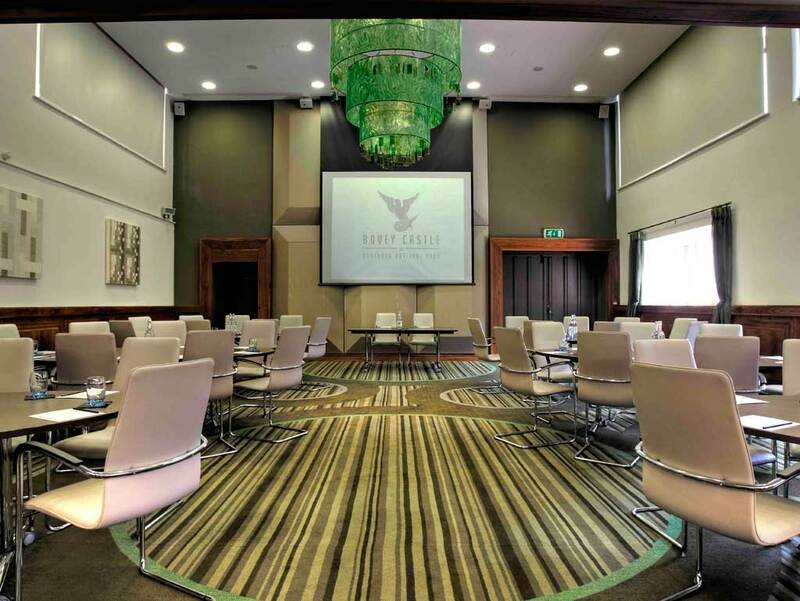 Integrated meetings and presentations facilities for up for 120 delegates, including The Dartmoor Suite, The Fernworthy and The Bowden & Hambleden rooms.Smaller syndicates and breakout meetings can be held within a private dining room or lodge, both promising undisturbed privacy. 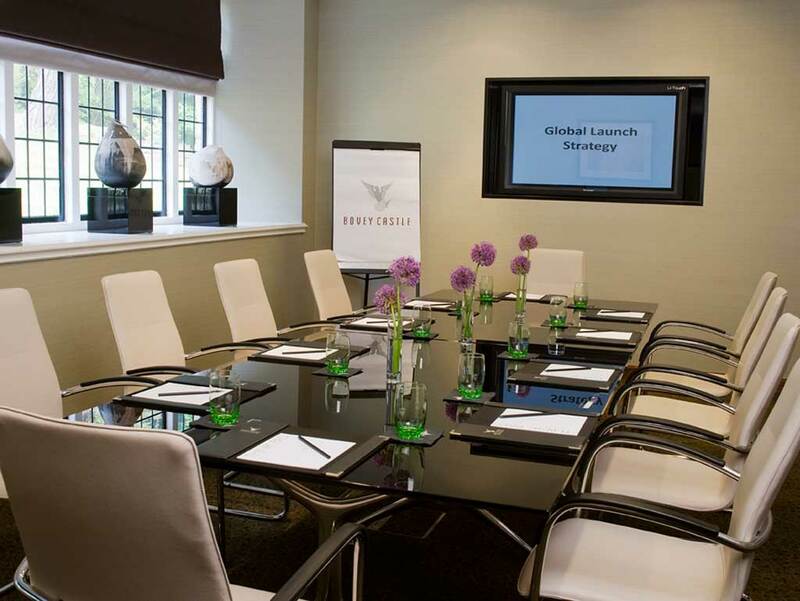 The meeting facilities have natural light, air conditioning, a comprehensive business support system. 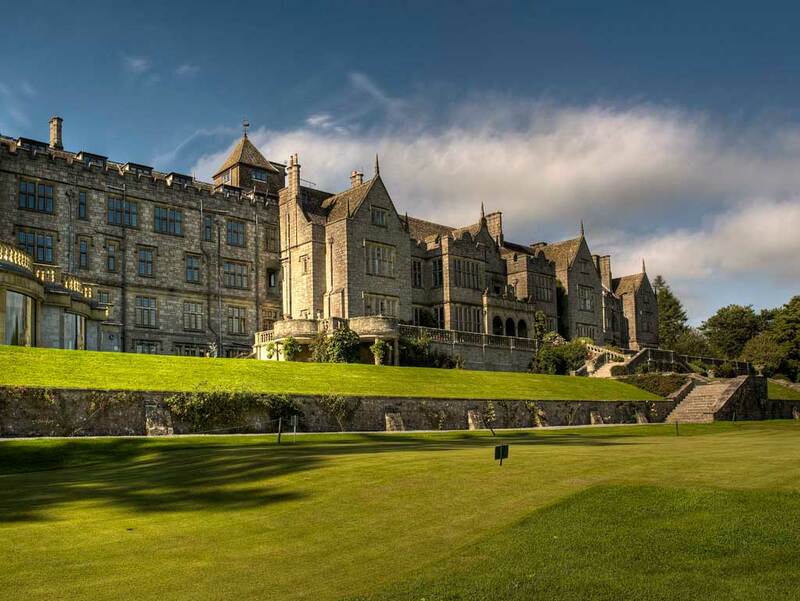 For team building or leisure, Bovey Castle boasts a 275-acre estate to explore and the nearby Dartmoor National Park as well as a championship golf course and offers an extensive range of activities from fishing to archery, falconry to hot air ballooning. Guests and adrenaline Junkies can now view the estate from seldom seen viewpoints on the purpose built Landrover 4X4 off road track set on the estate under the guidance of an experienced instructor, in a Land Rover Defender 110.